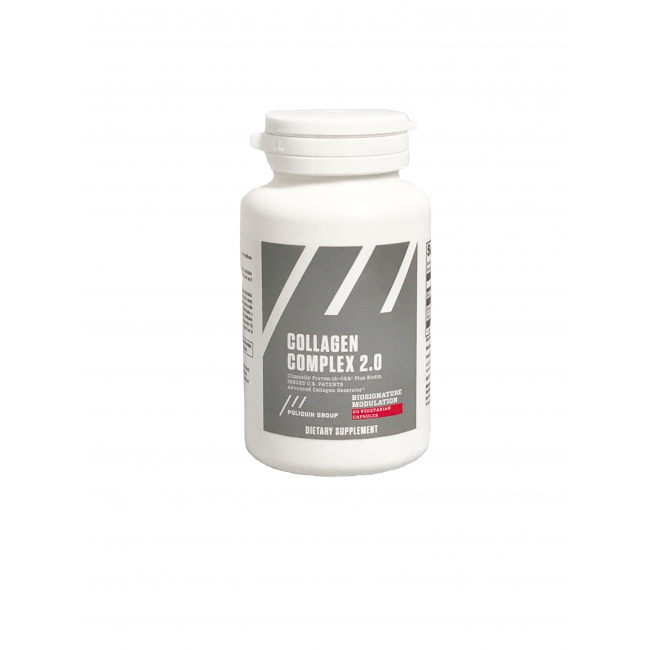 Collagen Complex 2.0 features clinically tested ch-OSA® (choline stabilized orthosilicic acid) complemented with biotin. ch-OSA naturally helps nourish your body’s beauty proteins by supporting an activating enzymes used by collagen-generating cells to make collagen. Regular orthosilicic acid (OSA) has to be stabilized to avoid polymerization, a process that decreases bioavailability. ch-OSA’s patented choline-stabilization technology prevents polymers from forming and ensures OSA’s optimal absorption. By combining ch-OSA with biotin, Collagen Complex 2.0 offers an even greater level of beauty support.